A volcanic eruption and the forces of nature it releases is something to behold and respect. On June 5th the Puyehue-Cordon Caulle volcano chain near Entrelagos, Chile erupted sending an ash and rock plume 6 miles into the air. The images are frightening and beautiful at the same time.. 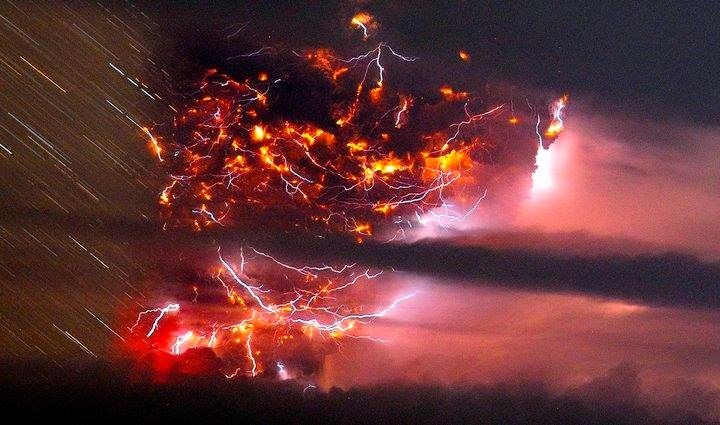 Lightning bolts struck around the Puyehue-Cordon Caulle volcanic chain near southern Osorno city in Chile on June 5, 2011.